Professionals who need a new monitor have been treated nicely by Philips – the acclaimed company has just released the new BDM4350UC monitor, which sports 4K resolution and high quality components that are perfect for serious professionals. The new BDM4350UC 4K monitor features a 43-inch display (you can see this in the name of the device) and includes IPS technology for excellent color reproduction. The monitor works at 4K resolution at 60 Hz, which makes it especially suitable for gamers. The device has a brightness level of 300 cd/m², a static contrast ratio of 1200:1, a dynamic contrast ratio of 50 000 000: 1 and response time of 5 ms. The viewing angles are 178-degree, both vertical and horizontal and thanks to all the technologies implemented inside the BDM4350UC 4K monitor by Philips has full support for 1.07 billion colors. In addition to this the device uses W-LED technology for the backlight. To present colors in the best and most accurate way, the BDM4350UC 4K monitor features the so-called SmartUniformity technology, which spreads brightness evenly across the display, which is something very important when working with video files and images. Moreover the BDM4350UC supports the Philips SmartImage technology, which analyzes the image on the display and automatically optimizes it through adjustments in the brightness and color intensity of the monitor. In the back the BDM4350UC 4K monitor has two DisplayPort connectors as well as two HDMI and one D-Sub ports. This high-end monitor also has two built-in 7W speakers and four USB 3.0 ports. The device, which measures 968 x 630 x 259 mm and weighs 9.72 kilograms, needs 53W of power to operate as it should. 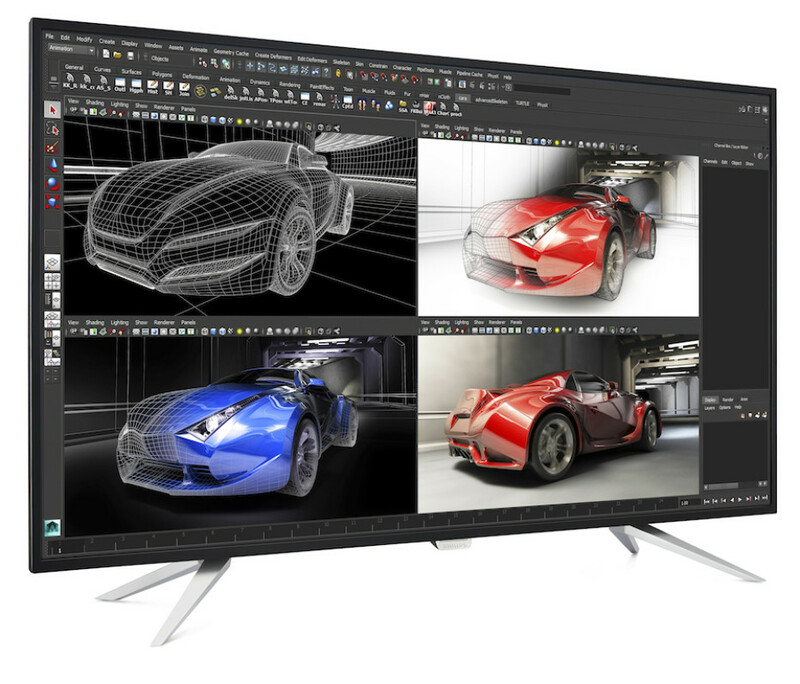 The new BDM4350UC 4K monitor by Philips will be available in May. The monitor will sell for around USD 1700.